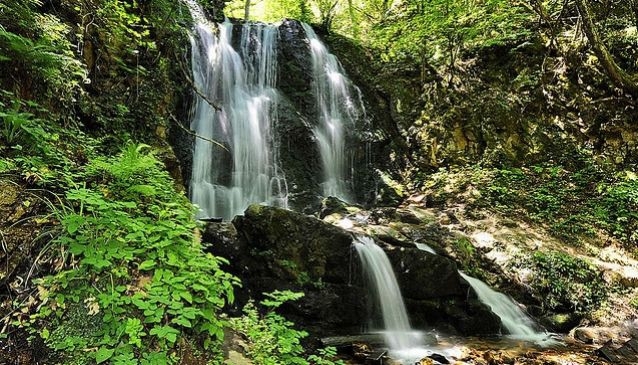 Located on the river Baba, above the village of Koleshino near Strumica, the Koleshino Waterfalls are an example of pure natural beauty. During the hot summer days when the temperatures soar above 35 degrees, find free time to visit the magnificent place and enjoy pleasant and calm time. In order to reach the waterfalls you need to pass across splendid nature, beautiful forest paths and stairs made of stones by the local villagers. The waterfalls are magnificent during every season, during the spring and summer they give you an opportunity to feel freshness and hide from the high temperatures while during the winter they can be frozen and surrounded by snow so you can enjoy breath-taking views. The autumn in Kolshino is also splendid, as the gold colour of the leaves and the sound of the water make this area harmonious and pleasant. The waterfalls in Koleshino gently fall over stone cliffs nestled in the forest at a height of 19 metres and together with the outstanding and untouched environment the whole place is magical and worth visiting.